It’s May 25, 2017. Early in the morning my alarm clock is getting me out of my sleep. 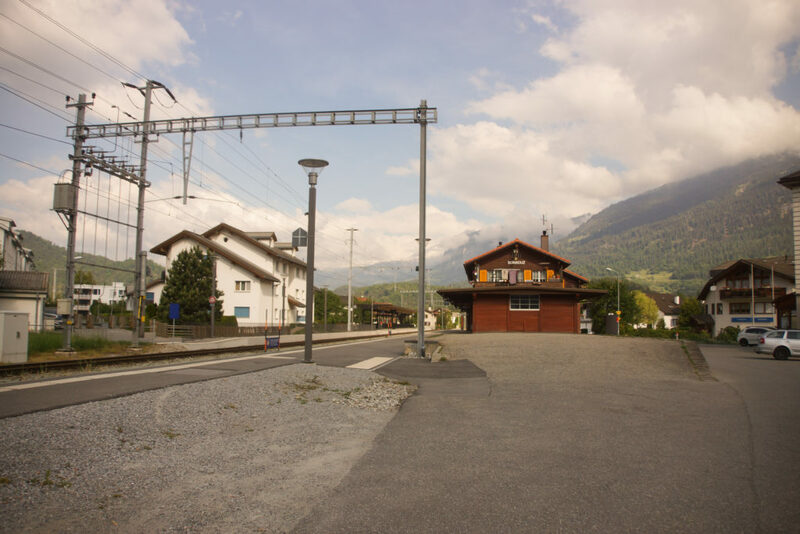 After a good breakfast I walk to the train station and take the train to Bonaduz. I reach it at 9 a. m. and head straight for Thusis. 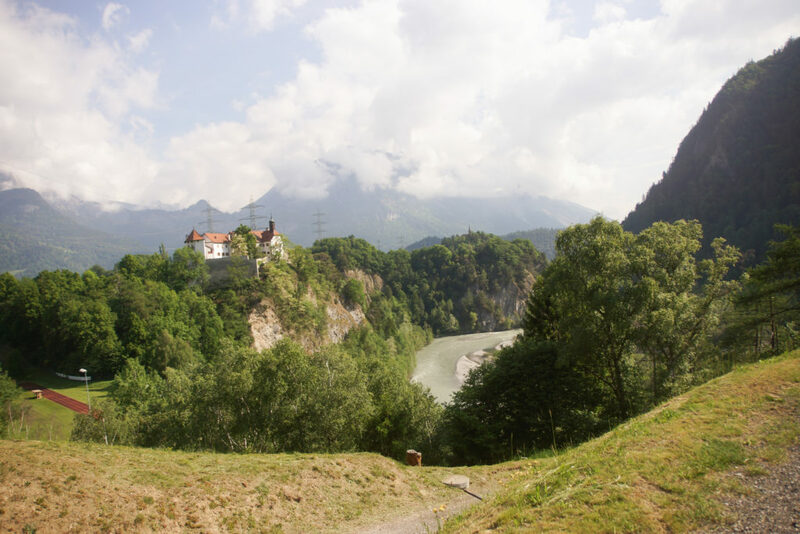 The path runs parallel to the Hinterrhein, passing fields, a sports facility and a castle. Shortly after noon I reach Thusis and take care of myself in the station restaurant. Then the Via Spluga begins. 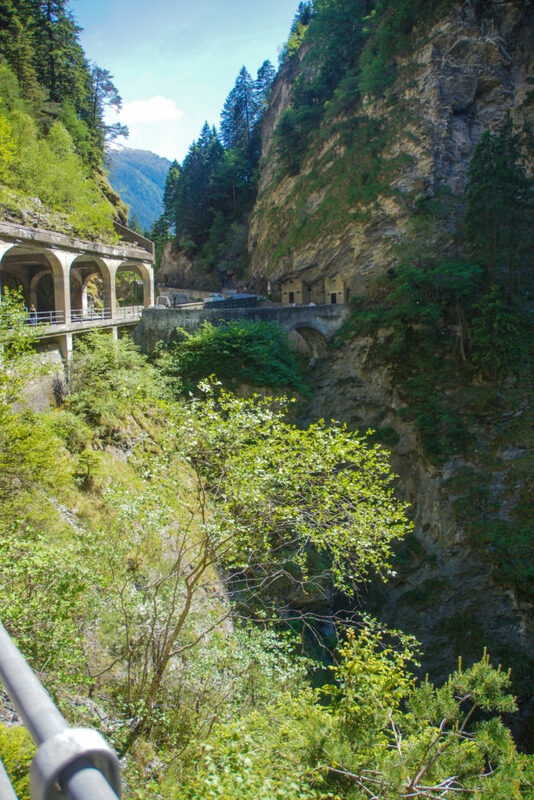 The path climbs steeply up the Viamala at the beginning. Wilderness and rock form the path here. 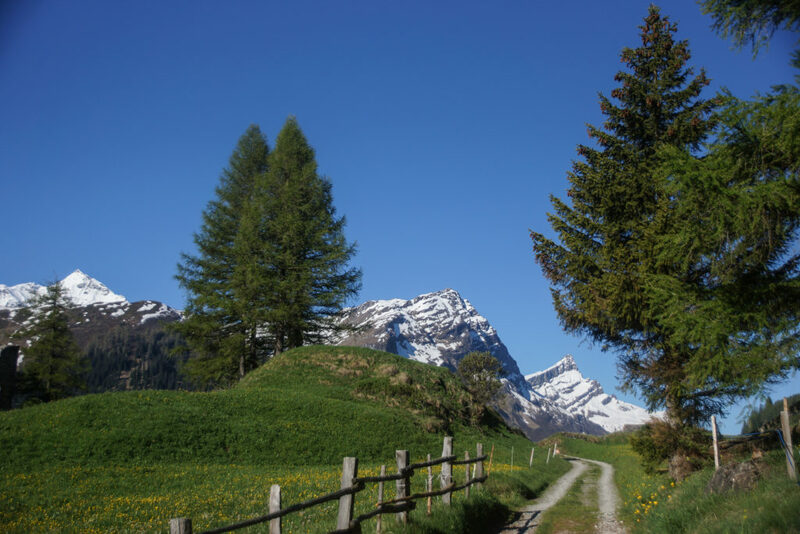 After the Viamala, the path becomes somewhat flatter and we turn into a forest and meadow path. 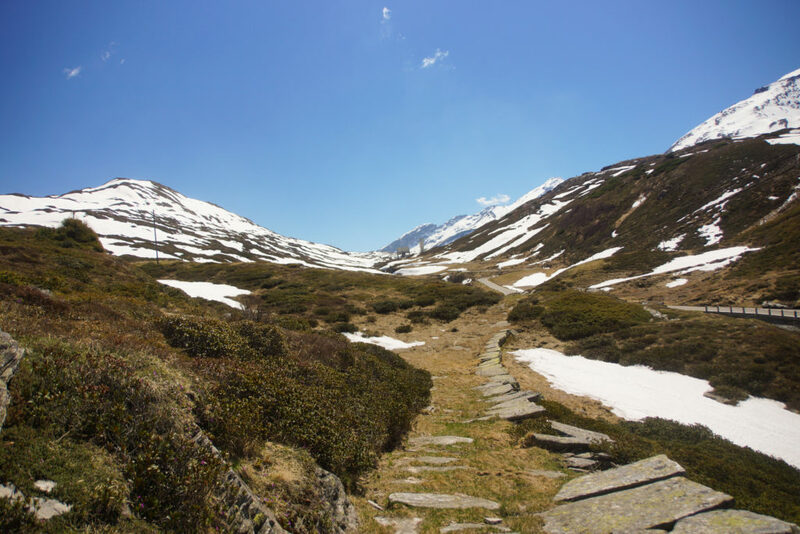 The path leads via Zillis to Andeer. There I arrive at the Hotel Post where almost all products come from the region. Many of them even from their own village or the neighbouring village. You can tell by the taste. 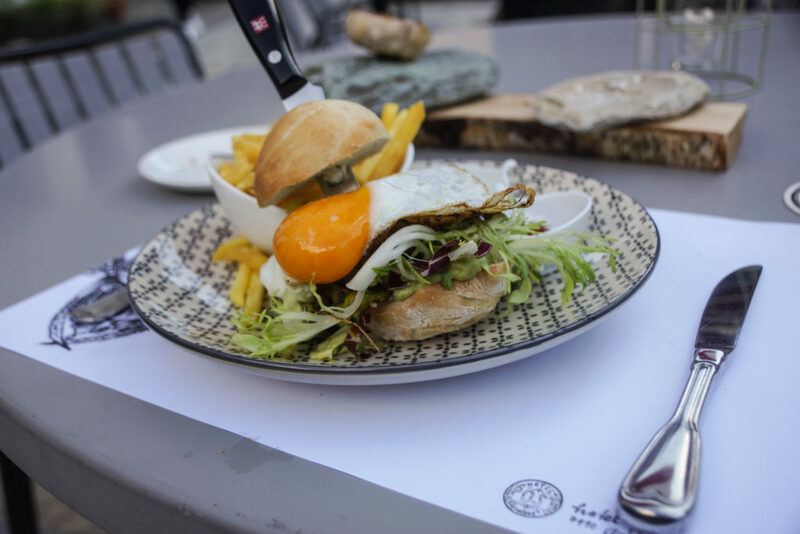 An exception to this rule is the avogado, which gives the burger the püntlein on the i as well as the juicy side meat and the alpine cheese from the nearby alp. After dinner, I’ll put back another few meters of altitude. I pass the Bärenburg power station and a small reservoir. The path would go through up here. However, a local resident in Andeer advised me to walk along the road at the reservoir, as I could save 30-60 minutes of walking time. After eight minutes I have reached the end of the small reservoirs. Afterwards I follow the trail through the forest again. 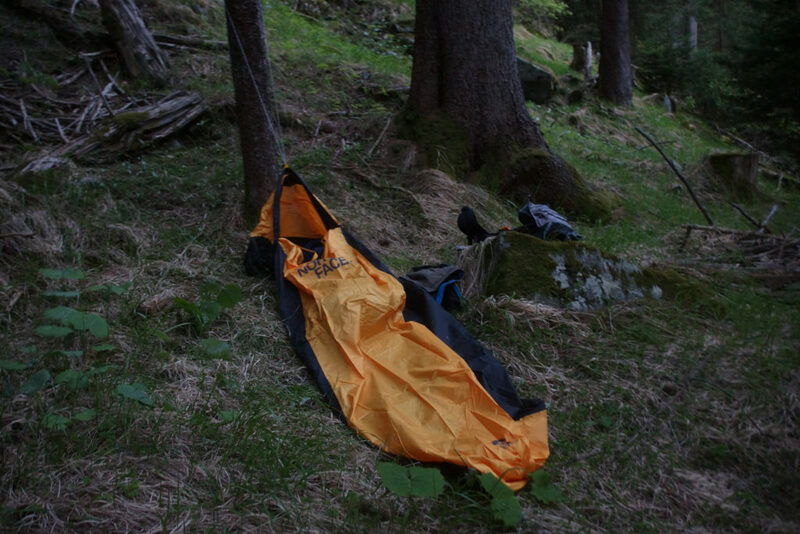 At about 9 p. m. I find a more or less suitable place to stay overnight, unpack my bivy bag and go to bed. It is quiet besides the nearby motorway and the rustling of the leaves. Despite the relatively quiet location, I wake up every hour. At six o’ clock I get up and head for Splügen. There is hardly any traffic on the road at this time. Soon I reach the Sufnersee and Sufers. Afterwards it goes over a small hill to Splügen. In Splügen I have breakfast at a bakery to have energy for the second hiking day. 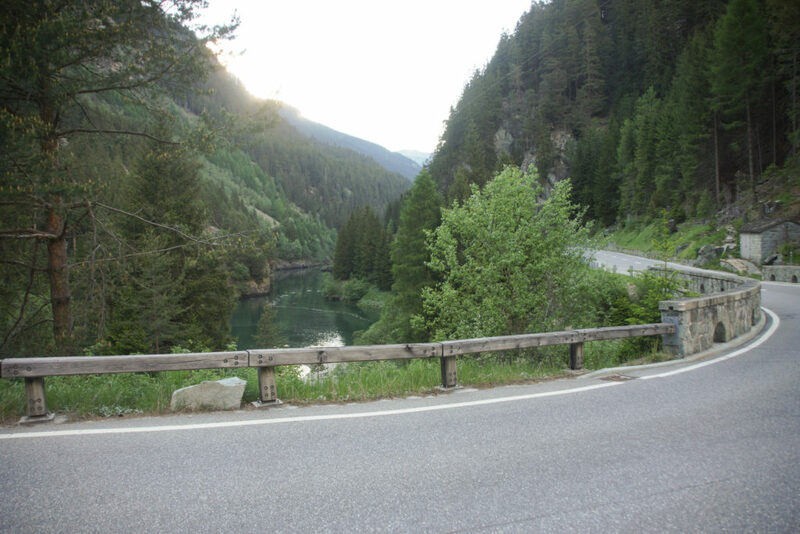 This is also the part of the Via Spluge, which leads over the Splügenpass to Italy. 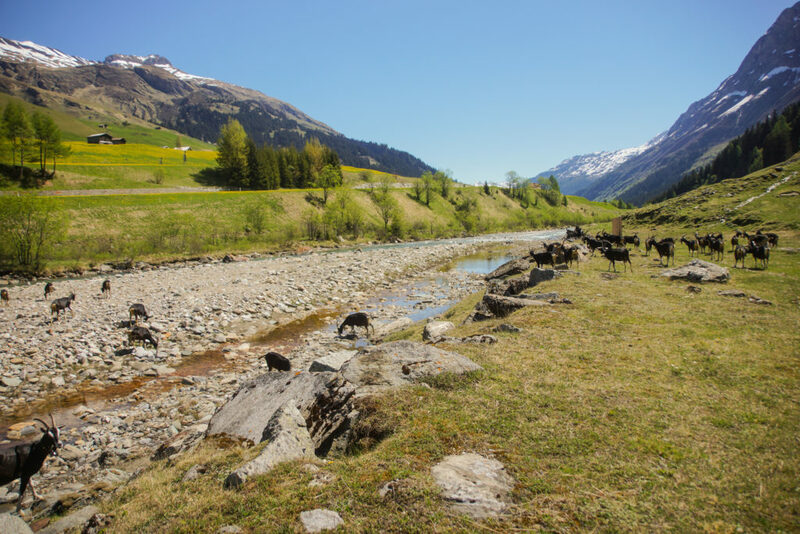 My hike follows the Hinterrhein to Nufenen and then Hinterrhein. On the way I meet a whole horde of goats and a marmot. In Hinterrhein I arrive in a small restaurant, where I am still the only one. The waiter asks me what I would like and suggests a barley soup with bread and some cheese – there is no menu. The soup tastes extremely good and the large portion of various cheeses also makes your mouth water. I almost don’t have to pay anything – for the cheese only two francs, since I hardly ever would have eaten any of it – I felt otherwise. So I gave a generous tip and set off to cross the San Bernadino Pass. 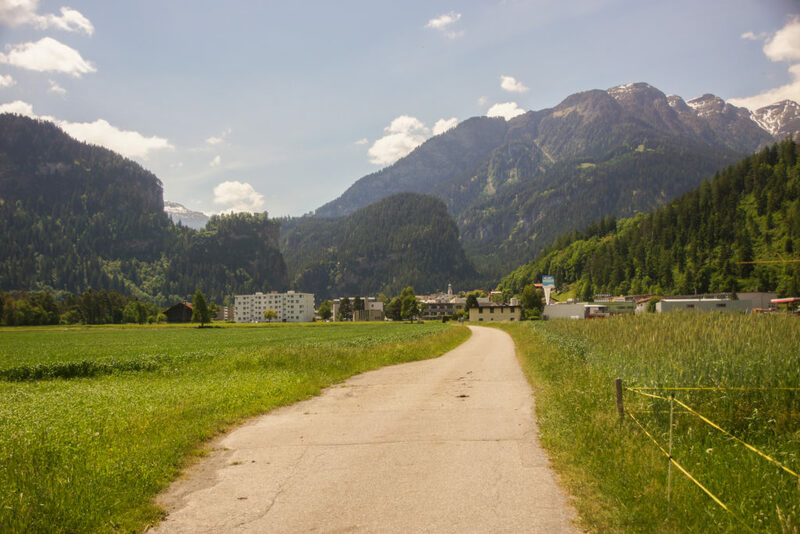 I walk along the pass road for a while, because I missed the turnoff in Hinterrhein and I don’t want to go back. At some point I reach the hiking trail again. Already almost at the top of the mountain it has so much snow that I walk along the pass road again. As it is a wonderful day, it has a lot of motorcyclists, but also some cyclists. Arrived at over 2067 m above sea level, I treat myself to a mineral water from the restaurant. Unfortunately, it is still a bit too fresh for bathing. Afterwards I descend down to San Bernadino, which I reach in the evening. With a fine pizza, I’ll recover from crossing the pass. As San Bernadino is still at 1600 m above sea level, I decide to hike down a few meters to find a warmer place to sleep. On the way I meet a fox and deer and reach deeper areas. In Pian San Giacomo it is already 9 pm and it starts to dawn. I am now at 1200 m above sea level, which is about the same altitude as the night before. Since I am already quite tired, I decide to ask local residents if I can stay overnight in their meadow. They’ll think I can spend the night in the meadow across the street. I’ll go to sleep, too. Also this night I don’t sleep very well and wake up every hour. 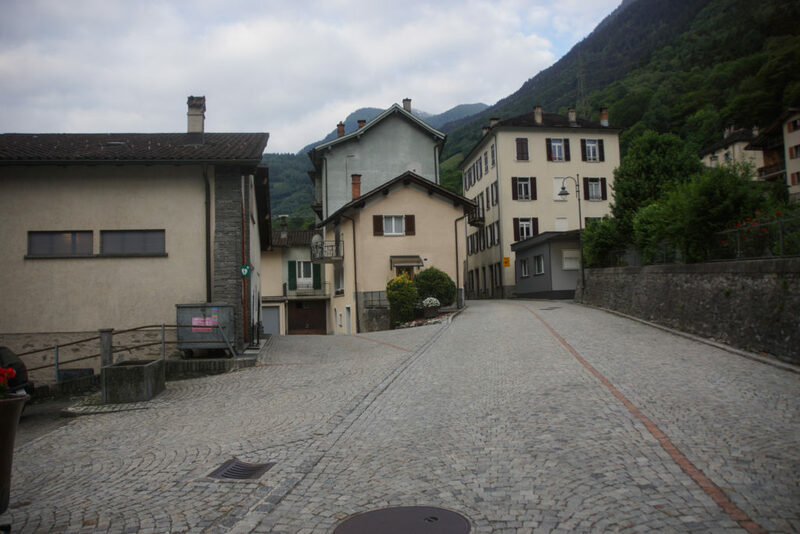 At five o’ clock I can’t sleep at all, pack up my things and head towards Bellinzona. Shortly afterwards I see a field hare (at least I suppose it’s a true one in the distance because of the run-stalk). I feel my legs, but I can walk on after a relatively long time. But I’m starting to feel my lack of sleep during the last two nights. That’s why I decide to take the next post bus after about 2.5 hours of hiking in Soazza to go home and sleep. The whole hike over the slightly more than two days was about 80 kilometers long and included 2000 meters of altitude difference. The hike is very nice and can be done in stages. Tip: A recommendable hike is the Via Spluga. From Thusis to Andeer the walk takes about five hours. From Andeer to Splügen about 3.5 hours are realistic. 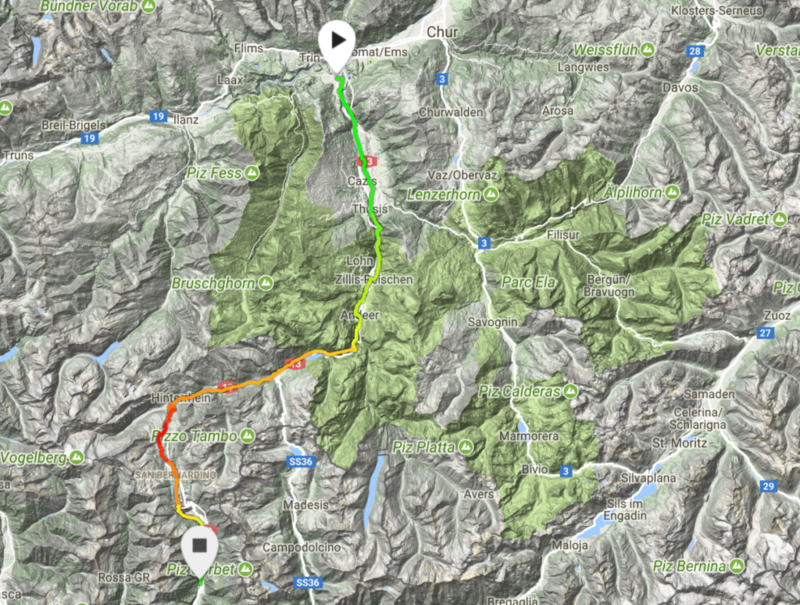 Over the Splügen Pass to Chiavenna, another two hiking days should be included. There is a luggage transport for this hike and it is also feasible with a school class. Experienced hikers can complete the whole hike in two days. 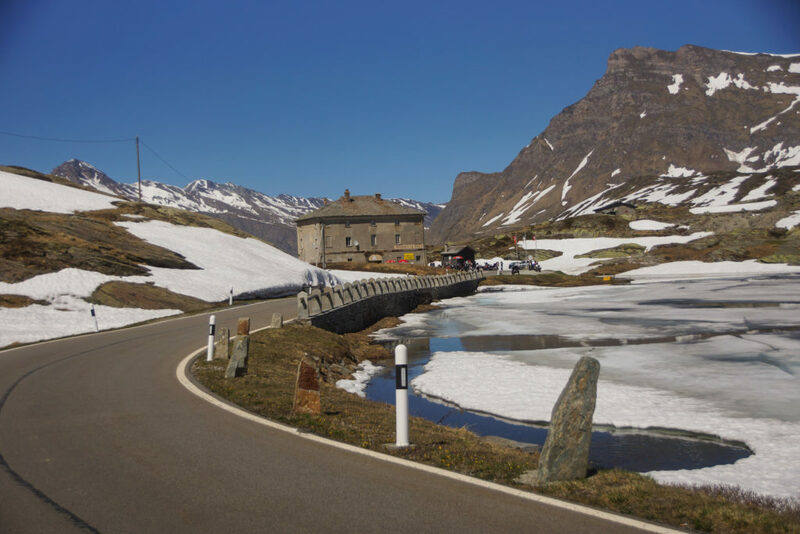 Also highly recommended is the San Bernadino Pass, which goes from Hinterrhein to San Bernadino and takes about 4.5 hours. 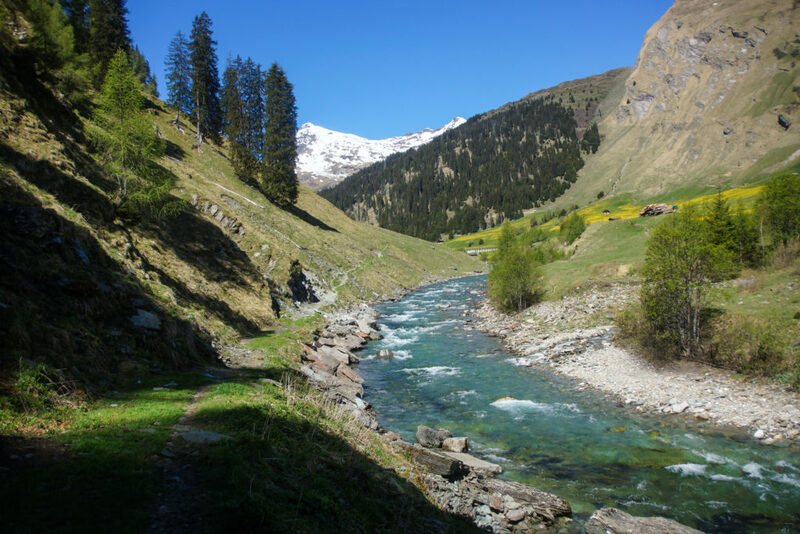 If you prefer it shorter and flatter, I can recommend the walk from Splügen to Hinterrhein. This takes about 2.5 hours.